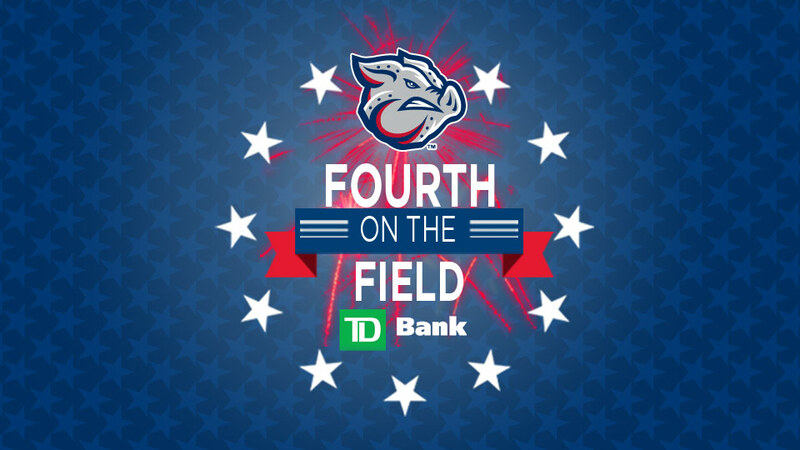 "Fourth on the Field" presented by TD Bank returns to Coca-Cola Park for a fifth season this Independence Day. The event begins July 4 at 6 p.m. and features a variety of food options, family fun and live music from The SwingTime Dolls, as well as the season's biggest and most spectacular fireworks show -- more than three-times the size of a normal show at Coca-Cola Park. Tickets are now available (CLICK HERE TO PURCHASE) for just $6. Children 2 and under will receive free admission. Tickets will be available online, in person at the IronPigs ticket office, or by phone at (610) 841-PIGS (7447). Tickets will be limited, so advance purchases are encouraged. Parking is priced at just $5 per vehicle. "Coca-Cola Park is the perfect venue for food, fun, and a breathtaking fireworks display," said IronPigs President and General Manager Kurt Landes. "It's an affordable event for friends and families looking for a safe place to celebrate the Fourth of July with an unobstructed view of the evening sky." Tickets include access to the field and dugout areas at Coca-Cola Park. Attendees will be able to watch the spectacle from the field or seating bowl while enjoying great food from a variety of local food trucks. Each ticket also includes access to inflatable games, face painting and balloons, mascot appearances, live music and other games for kids. Note: If your food truck has an interest in being included at this event, please contact the IronPigs directly as applications for food trucks and vendors are currently being accepted. The event also includes live patriotic music and many family activities -- including inflatable games, unlimited access to the KidsZone along with appearances by IronPigs mascots. Tootsee the Clown & Friends will provide complimentary face painting and balloon art. Most family activities are included with the price of admission.